This is a fun illustrated wall print featuring the unicorn alphabet. Funny, unique and attractive, this art print is sure to start a conversation once it is framed and on your wall. 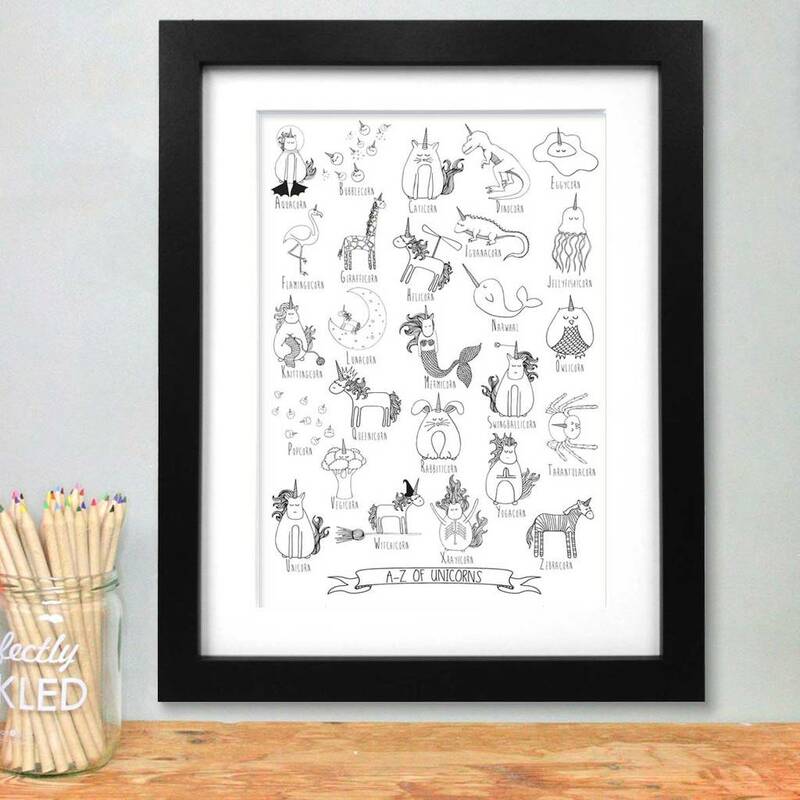 You may think that there is only one species of unicorn but this print to help you discover unicorns from Aquacorn to Zebracorn. You could even colour it in before you put it on your wall. 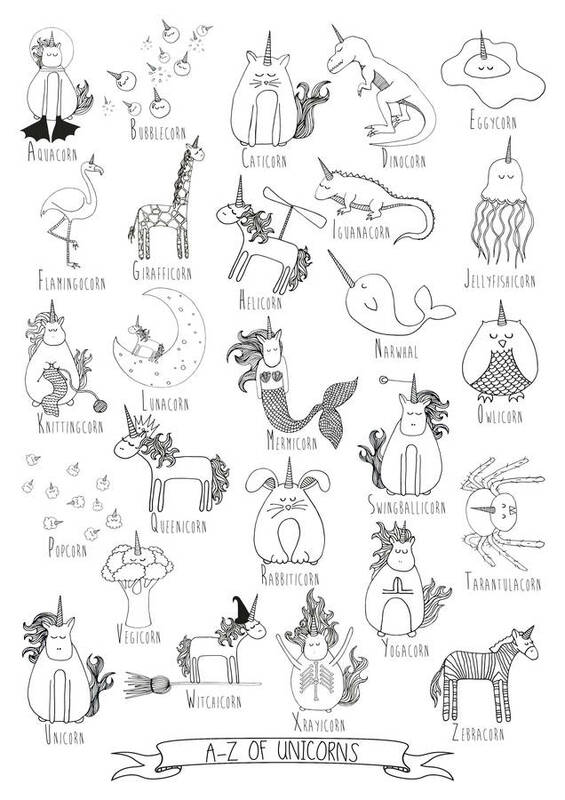 This print would make a perfect art print for a bedroom wall or a gift for someone who loves unicorns. If you love this art print then you might like the other prints from our unicorn collection. This print can be hung on its own or with our other unicorn prints.